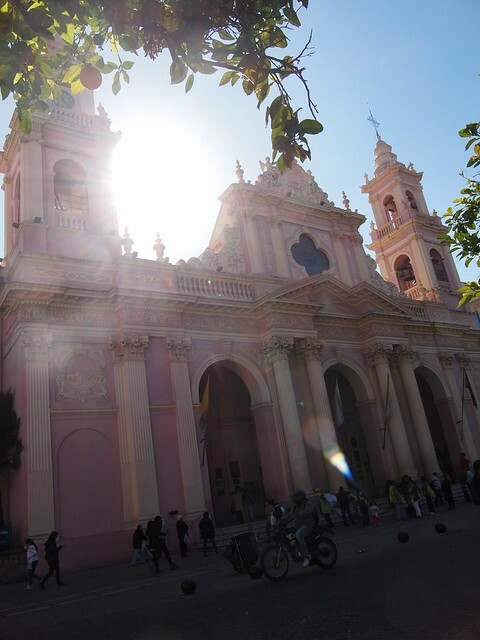 Our lovely Airbnb host Fernando dropped us at Salta Airport the next morning where we picked up our rental car from Hertz. As soon as we walked through the door, the guy at the Hertz office immediately knew who we were. After doing all the necessary paperwork and going through the map of the Salta region, we got our chariot for the next three days: a gold Chevrolet Classic. I had booked the rental through Hertz UK and the pre-paid rate was 112 GBP or around 240 SGD for three days. The rate included comprehensive insurance coverage or as the Hertz guy put it: “it’s okay as long as you bring the car back”. This line really cracked Ying up. 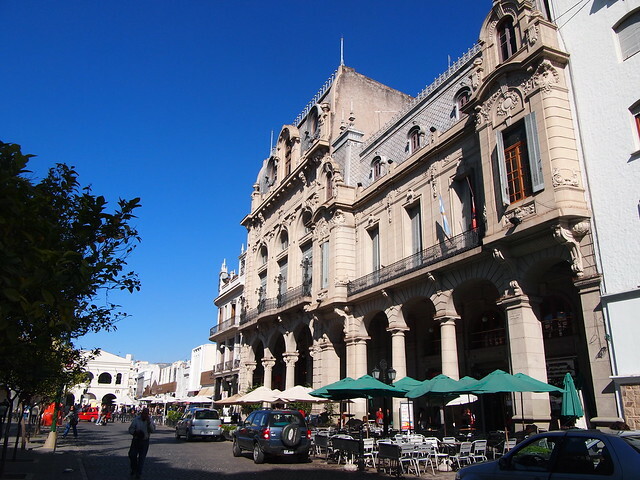 After collecting our car, we headed towards Salta’s city centre to get more Argentine pesos. While the official exchange of Argentina pesos was pegged at 8 ARS per 1 USD (June 2014), the black market rate (known as dolar blue) could be as high as 12 ARS per 1 USD. 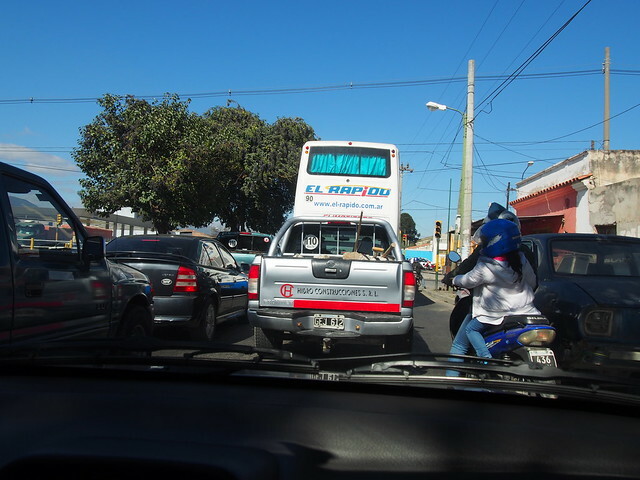 Driving through Salta’s roads were pretty stressful and reminded me of Johor Bahru. After ditching the car at a carpark with a valet, we walked towards Calle España where there were moneychangers. While there were guys on the streets which would approach tourists with the words “cambio?” or “dolares?”, we decided that it would be safer for us to exchange money in a physical shop. 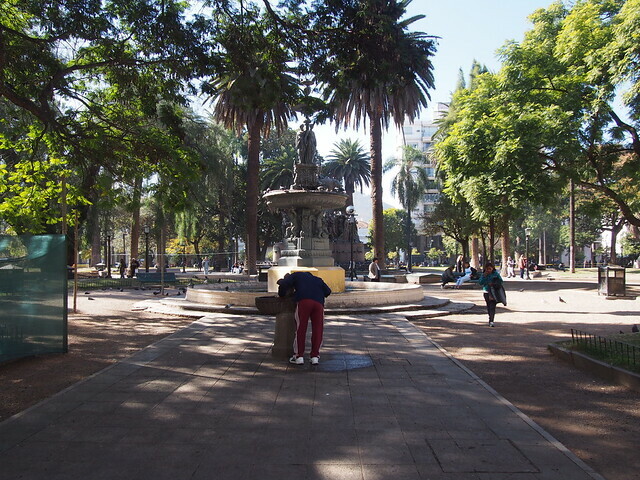 The one we went to was on Calle España, at the northwest corner of Plaza 9 de Julio. At the exchange office, we ran in one of the SMU students whom we saw at SPA’s bus station. 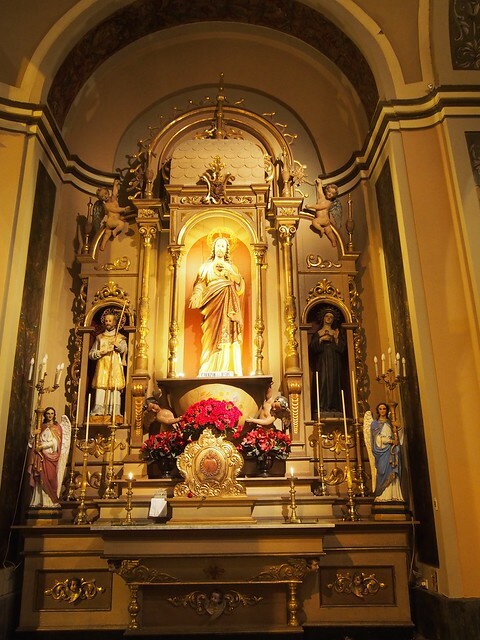 Like us, they were renting a car to explore the Cafayate region. The moneychanger quoted us 11.2 ARS per USD but he didn’t have any pesos until around an hour later. 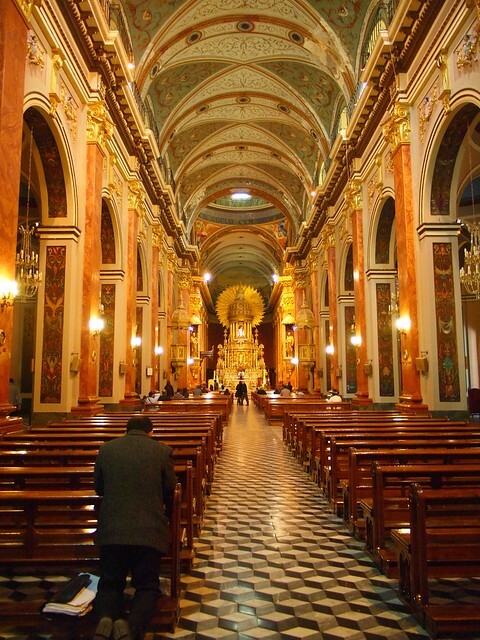 While waiting, Ying and I visited the Salta Cathedral and walked around the Plaza. We went to exchange the money at the scheduled time. 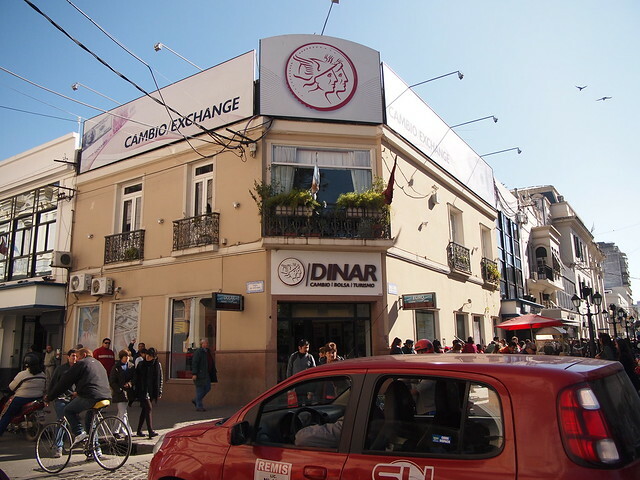 I also exchanged my remaining 12,000 Chilean pesos for Argentine ones at a pretty poor exchange rate (77 CLP to 1 ARS). On the way back to the car, we stocked up on some food stuff at Carrefour for our road trip. While the news of Argentine economy didn’t seem very favorable, the long queues at Carrefour suggested that the Argentinians were still consuming. I got a little confused on where we were heading on the way out of Salta and we stopped at a gas station to get my bearings. 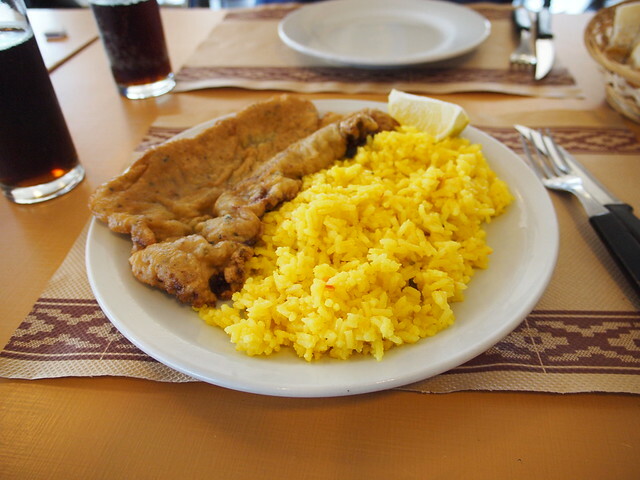 Since it was almost lunch time, Ying and I decided to share a Milanesa before starting the road trip. 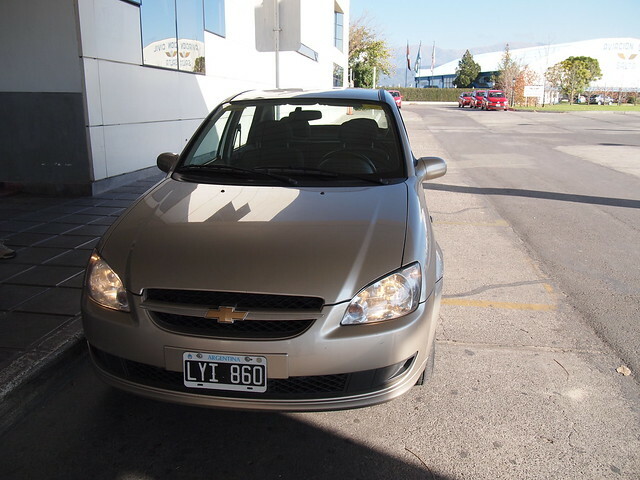 This entry was posted in Argentina and tagged Argentina, Chevrolet Classic, Dolar Blue, Hertz, Salta. Bookmark the permalink.